It’s very interesting when people I know who are Christians (protestants) ask me what I think about Catholicism. Both are seriously missing the point. Organized Religion in my mind has very little positive effect on the globe. In fact it may be a hindrance to it. It’s completely contracdictory to the Way of Jesus. American Christianity imo is a false religion. The Bible is being used as the platform of a political movement that completely ignores the teachings of Christ. Have you ever about why Jesus died? He took on organized religion. He condemned them publicly for their sins, for their ridiculous legalism, about their self-righteous attitude, about their lack of love. Yep Jesus died because of Organized Religion. Because of their lack of love for mankind and for those God really truly cared about. Jesus came to set the captive free, he came to unleash the good news of a New Way, a New Kingdom. His way was so contrary to what everyone else thought,taught,and lived at the time. It was simple. It was revolutionary. As Christians I wonder if we have embraced this false religion, or if we have embraced the Revolutionary New Way of Jesus. Do we love our brother? Do we look past his faults, or are we condemning of his sins, and judgemental. Do we share what we have with our neighbors, or even our enemies? Or have we embraced the Kingdom of Churchianity and its all its pitfalls, and its aliiances with Nationalism,Capitalism,Corporatism, and The American Dream. Because the Jesus I fell in love with is a far different Jesus than I studied in Bible School as a child. Don’t judge others for their sin. Love them. And love God. This is what The Way of Jesus is about — following the example of Jesus Christ. Anything else is a fraud and Jesus was not religious. 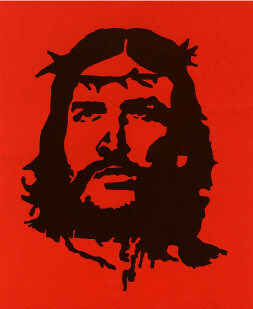 He taught a spiritual revolution, and for that they killed him.